This is a paper in defense of counting in literary studies. It’s also a paper about why counting needs defending in literary studies in 2016. First, I’d like to connect these topics to the conference theme. The so-called digital turn in academic knowledge production poses a material challenge to the methodological status quo of the humanities. Digital technology makes a bold promise: the quantification of human experience. For constituents of the status quo, the promise of digital technology seems more like a threat. Many humanists worry about what is lost when the richness of culture and the arts is reduced to data. 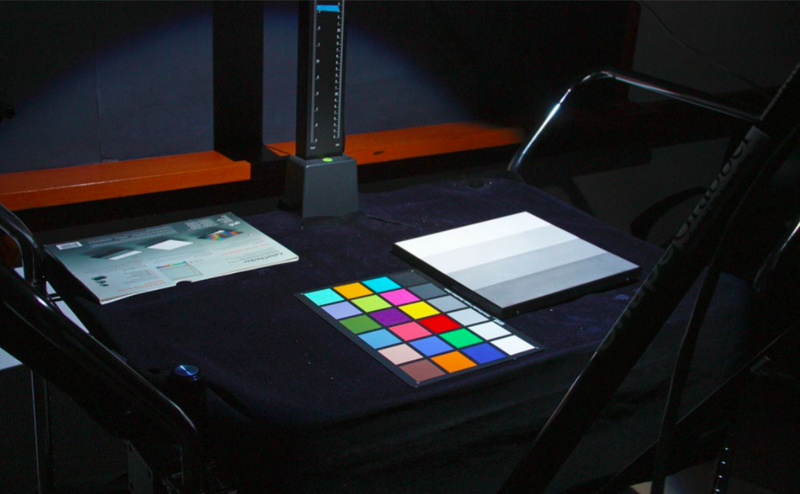 For others, digital tech enables the humanities to live up to their potential. To take an egregious example, Franco Moretti’s ‘distant reading’ does not merely claim to be a good method of reading literature; it claims to be the best method. In promoting statistical approaches to literary history, Moretti taps into philosophical attitudes that predate the digital. His aggressive empiricism is at once the attraction and the scandal of distant reading. Thus the digital turn irritates a long-standing tension in humanistic study between qualitative and quantitative methods. I propose to explore this tension by focusing on a field of inquiry that bears an unusual relationship to it. Metrics, depending on your perspective, is either the field entrusted with explaining what makes poetry poetry, or the field charged with inferring an organizational system from linguistic patterning. Metrical scholarship combines qualitative and quantitative reasoning in a way that has become uncomfortable in literary studies. Discomfort with the modus operandi of metrics is acute in the case of early medieval literature, whose systems of formal organization lie at a great cultural remove from those of modern literature. In reconstructing early medieval meters, the value of modern experiences of poetics, and hence the network of assumptions underlying data collection, is always open to question. About the meter of Beowulf, for example, it is currently possible to hold any one of a number of mutually contradictory theoretical views. Moreover, Old English metrical theories cluster in two incommensurable research paradigms, one continuously elaborated since the nineteenth century, the other disclosed for the first time in 2008 (see Cornelius, “The Accentual Paradigm in Early English Metrics”). Metrists disagree, and they disagree about why they disagree. For many literary scholars, meanwhile, metrics is a field that deploys the rhetoric of accumulation to make exaggerated claims on historical truth. In light of these problems, what I’d like to do this morning is to sketch the function of counting in metrics, with reference to my research on English alliterative verse. I have two goals: to affirm the role of quantitative reasoning in literary study, and then to set a certain limit on that role. In what follows, I identify and address two philosophical challenges to counting as a critical method. One challenge comes from the right, framed in the language of neopositivism; the other comes from the left, framed in the language of poststructuralism. I contend that the neopositivist and poststructuralist positions both miss the full significance of counting as a way of getting at “the heart of a poem,” in the words of Simon Jarvis. Ultimately, I’ll argue that metrical study explodes the distinction between qualitative and quantitative approaches to literature. This past week, I visited Stanford University as a Text Technologies Fellow. While at Stanford I also spoke to the Workshop in Poetics, recorded a video interview for a developing digital resource for the study of prosody, and guest-lectured on early English alliterative meter in English 301B, Love and Loss in Early English, 900-1300. My gratitude to Elaine Treharne, Armen Davoudian, Roland Greene, Nick Jenkins, and Mary Kim for these invitations and to Armen, Mary, and Daeyeong (Dan) Kim for making local arrangements. Here is a summary of my visit on Stanford’s website. How do you know a poem when you see one? Consider the opening of the Battle of Maldon from the Anglo-Saxon Poetic Records, the definitive modern edition of Old English poetry. We can tell this is a poem because it has a title, it is lineated, and it is thoroughly punctuated. We can tell it is a critical edition because the textual variants are listed on the bottom of the page. Early medieval readers did not rely on any of these modern features of textualization when encountering English poetry on the page. Consider the opening of the Old English poem we call the Wanderer. No title, no lineation, almost no punctuation; certainly no textual variants. In this paper, I ask how Old English poets and their audiences conceptualized poems as poems. I approach this question from a codicological perspective and from a metrical perspective. I propose to explore how these different categories, material and formal, acted in tandem or in tension in delineating the idea of a poem in early medieval England. Throughout, I focus on the Exeter Book, a large tenth-century anthology of English poetry. In particular, I consider three poetic sequences in this manuscript whose form challenges modern conceptions of ‘poem’ as a unit of composition. Scholars of Victorian poetry have called for a ‘historical poetics’ that would reevaluate the received narrative of English literary history by recovering alternate ways of theorizing and experiencing poetic form. This essay takes a longer view onto the histories of English poetry from the perspective of Old English and Middle English verse. The primary purpose of the essay is to offer medieval English poetry as a case in point for historical poetics, thereby bringing a different literary archive to bear on critical conversations about the theory and practice of English versification. The contribution of this essay to the field of historical poetics will be to indicate a constitutive gap between the practice and theory of verse. Through three case studies drawn from ongoing research on the alliterative tradition, I seek to demonstrate what is distinctive about the cultural work of early English poetics. Recognition of the ways in which modern questions fail to illuminate medieval meters is the first step toward a more capacious historical poetics. 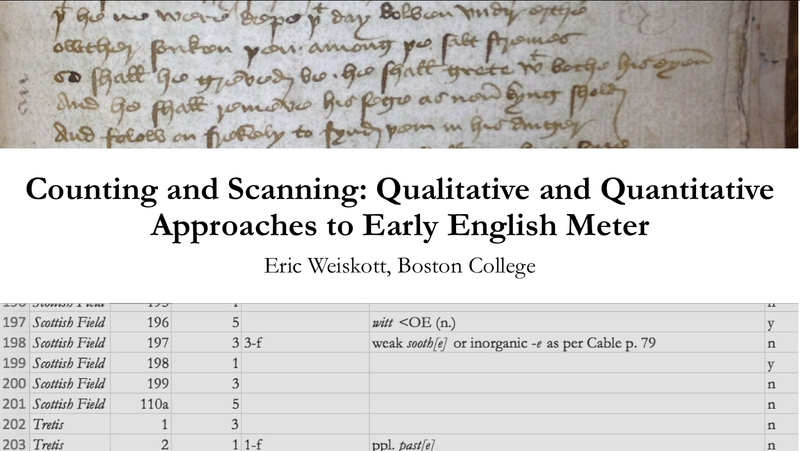 As a contributor to a developing digital resource for the study of prosody, I discussed alliteration as a poetic device and an ornament in alliterative meter; the alliterative tradition, Old to Middle English; and the state of the field of alliterative metrics. 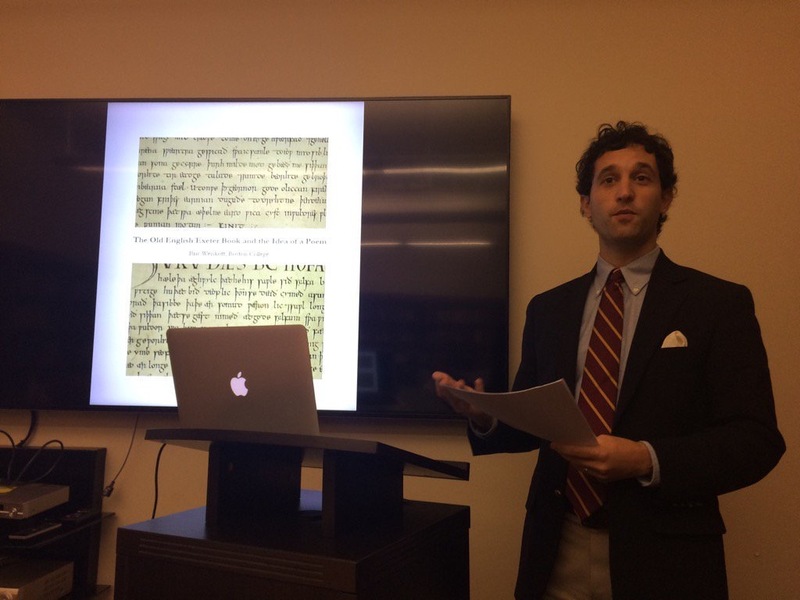 As a guest lecturer in English 301B, I taught a class of undergraduates and graduate students about the history of the alliterative metrical system c. 900-1200, with examples drawn from the Battle of Brunanburh (c. 937), Durham (1104-1109), and Lawman’s Brut (c. 1200). We asked how this metrical system stood around 900, how it changed between then and 1200, and how modern scholars have conceptualized these metrical principles and transformations. It was exciting to be able to help the students connect meter with the primary concerns of the seminar: linguistic form, literary style, periodization, and manuscript context.